Apart from all the hardware-based announcements, Google is also updating their Maps app for Android with offline maps support, and a big update to Google Earth, which takes it to version 7.0 and features highly detailed 3D maps of cities around the globe. More details after the jump! 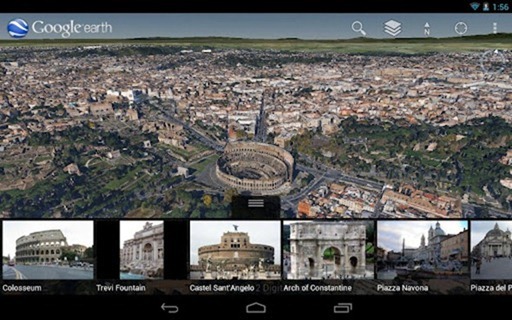 Google showed off 3D maps in a separate keynote event earlier this month and promised that an update for Google Earth is in the pipeline which will bring 3D maps to the masses. The venue of choice for the announcements turned out to be Moscone Center in San Francisco today with Google pushing out separate updates to their Maps app and Google Earth app for Android. Lets start with Google Maps first. Google Maps 6.9 is somewhat a point update, and brings a refined version of an experimental feature which we’ve been using for a while; offline maps. Offline maps is a really handy feature which allows you to cache a whole map of an area locally on your device, perfect for situations if you’re travelling, or if you’re going to a place where wireless connectivity is scarce. 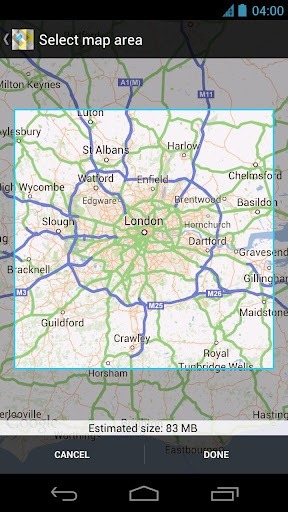 Apart from the offline mapping, Street View mode now comes in with a new handy feature called Compass Mode. Compass Mode uses your device’s built-in compass to look around places, but the fun doesn’t end here, Street View now goes indoors! Next up, Google Earth. A major update to Google Earth was pushed out moments ago which brings a significant new feature to the table that was previously announced by Google; 3D maps. Aimed to compete with Apple’s offering which comes with iOS 6, Google Earth features highly detailed 3D maps of numerous cities around the globe, giving you the best 3D experience you’ll ever witness on a mobile device. It’s worth noting that not every place around the globe comes in with a tinge of 3D, but cities like New York, San Francisco are a bunch of few which do. In order to jump into 3D view, simply select “3D Buildings” from the layer menu and you’re good to go.